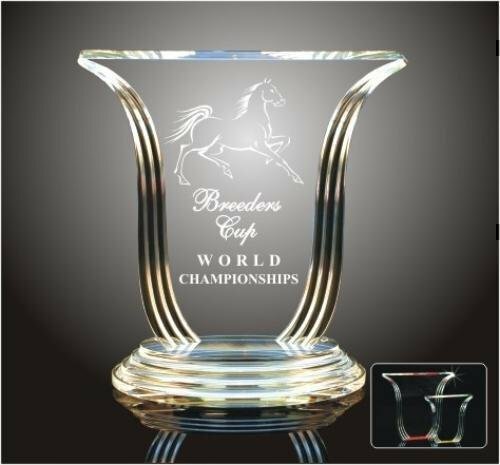 An Elegant Crystal Prism with Brilliant Beveled Edges and Matching Crystal Base with plenty of room for Lasering. Includes a Deluxe Velour Lined Presentation Box. 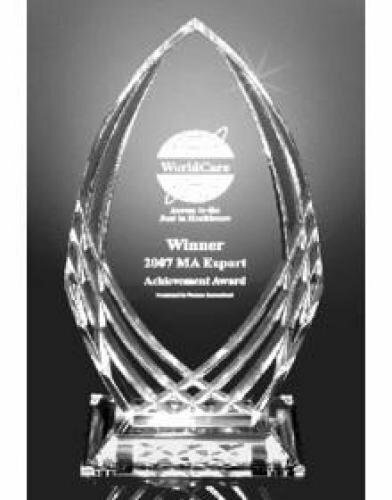 The Beveled Impress Acrylic Award boasts a square/rectangle shape with a colored bottom to accent this acrylic award. Perfect for an employee recognition award, employee of the year award, achievement award or sales award. 1" thick acrylic. Gold 5" x 6" x 1"
Gold 5" x 7" x 1"
Gold 5" x 8" x 1"
Facets surrounding the edges of this simple rectangle design reflect the color at the top of the base up through the clear acrylic, creating highlights in this classic award. The black acrylic base provides a sturdy and elegant foundation for the large personalization area. 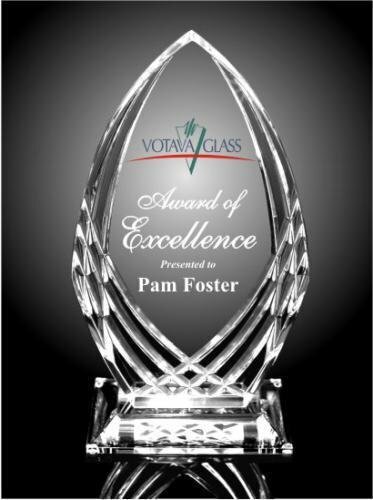 Polished acrylic offers value in a traditional award design. 1" thick acrylic. 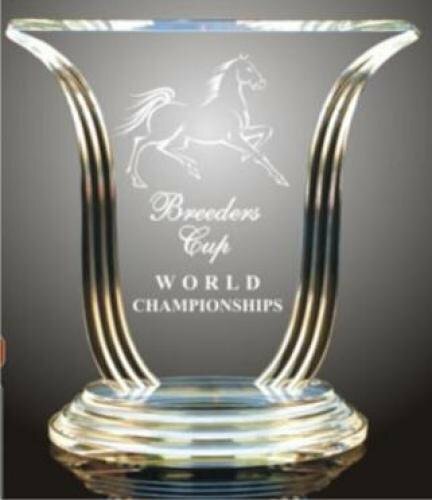 Silver 5" x 6" x 1"
Silver 5" x 7" x 1"
Silver 5" x 8" x 1"
An Elegant black piano finish with an acrylic engraved plate floating 1/4" above the plaque wood for a three dimensional look and feel. Each plaque has a felt back for added elegance. Can be displayed on the wall or on a desk using the included back pin mounts Full color imprinting available as an optional imprinting method for this award. Includes 125 engraved letters. Each additional letter is $0.08 each. An elegant Cherry Finish Plaque mounted with Heavy Die Cast Gold Key including presentation box. 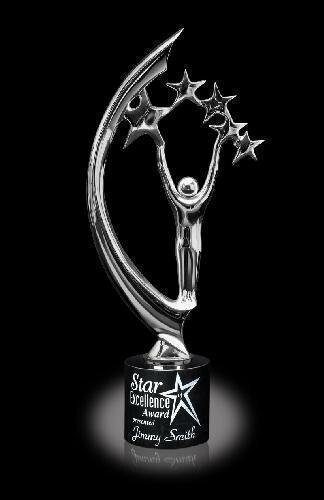 An Elegant Crystal Star Award, Laserable with Deluxe Velour Lined Presentation Box.